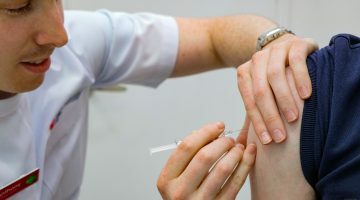 The University of Sydney’s Professor Peter Carroll, who with colleague Jane Hanrahan investigated how influenza vaccines administered by pharmacists played out in the community setting, says it could be appropriate to expand the types of vaccines available in pharmacy. Profs Carroll and Hanrahan invited all NSW pharmacists who completed the Pharmacy Guild of Australia accredited vaccination training course in April and May 2016 to participate in the study, which ultimately drew data from 36 pharmacists working in 25 community pharmacies. Between them, the pharmacists administered 2253 vaccines. Of the vaccine recipients, 43% were in the 18-49 year old age group, a group which to date has been difficult to reach with the flu vaccination message: according to Health Department data, vaccination rates are as low as 25% in this age group. 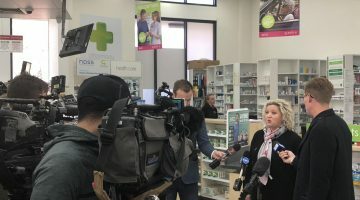 A significant number of people in high-risk groups, who were eligible to receive the flu vaccination at no cost from their GP under the National Immunisation Program, presented to community pharmacy instead. 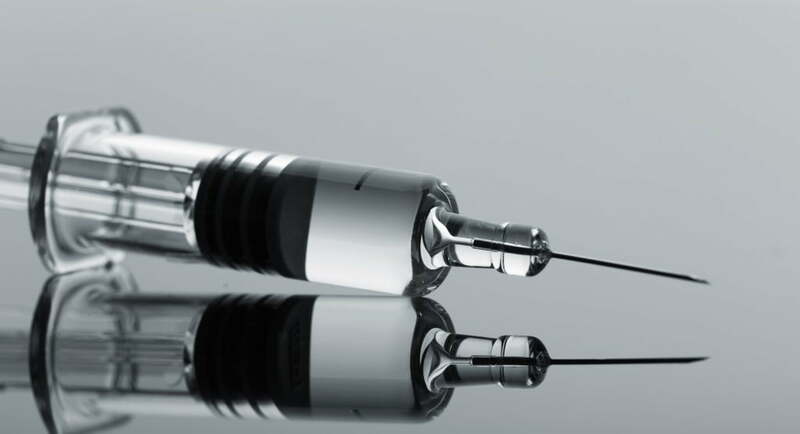 “Of the people vaccinated by pharmacists in the present study 377 were aged 65 and older, 15 were pregnant, 13 were Aboriginal or Torres Strait Islander people, and 63 aged younger than 65 had a chronic illness,” the Professors write in the study. “This represented 21% of people vaccinated, and all could have received a free vaccine from a GP. Previous flu vaccination status was available for 908 of the 2253 people vaccinated, and of these, 15% had never received a flu vaccine before. Prof Carroll told the AJP that influenza vaccinations administered by appropriately trained community pharmacists had enabled the health system to extend flu vaccination to more Australians. “In our study in NSW, we clearly showed that one of the major factors which influences people to have the vaccination in pharmacy was the convenience,” he says. “We clearly showed also that pharmacists vaccinated people with the influenza vaccine who would not otherwise have been vaccinated. “These people don’t go regularly to the doctor’s because they’re healthy. “While 21% of the people covered could’ve got a free vaccine from the GP, they chose to pay at the pharmacy because of the convenience factor. But Prof Carroll stresses that these results, and any harmonisation of expanded vaccination across the states, are not designed to compete with GPs for vaccination services. “This is a public health initiative: it’s supporting the GP to improve vaccination rates,” he says. “Because of the success of pharmacist-administered influenza vaccination in NSW and other states, it would seem that it would be appropriate to expand the vaccination services offered by pharmacists on a national level. “It seems at the present time that pharmacist vaccination for measles, mumps and rubella, for example; and diphtheria, tetanus and pertussis, should be considered so that appropriately trained pharmacists in all states can offer expanded vaccination services. The full paper, A shot in the arm: pharmacist-administered influenza vaccine in NSW, by Peter R Carroll and Jane R Hanrahan, appears in the September 2017 edition of the Australian Journal of Pharmacy.